vol.7 WellnessData | Tenant Voices | EGG JAPAN - EGG JAPAN (Entrepreneur Group for Growing JAPAN) is a platform for growing businesses and is located in Marunouchi, Tokyo, one of the world's premier business districts. The Japanese healthcare business environment is currently witnessing the entry of various companies in anticipation of future market expansion. For individual customers, meal management apps, fitness trackers, and various other services and devices are available, while companies and health insurance societies are discovering health management systems that can assist them with their health management and data health planning needs. However, the end users can become tired of recording their meals and may find it difficult to understand what the calorie consumption recorded on their devices mean in relation to their food intake and weight fluctuations. As such, there are a number of people who abandon their recording efforts after their device runs out of battery. Health checkups, meanwhile, are perceived as “something different” to their daily health management in which people undergo only during their regular company checkups. With this problem in mind, Mr. Eisuke Hoshino, the Representative Director of WellnessData Inc., stated that “Virtually no one views health checkups in relation to their everyday dieting and exercise”. Given this situation, WellnessData Inc. understands both one’s daily health data and health checkup data as important factors in forming one’s health assets. As such, here at WellnessData Inc., we provide JouleLife as a service that visualizes users’ health assets and provides health coaching that is suited to them, without having to perform tedious data entry. JouleLife has two main features: The first feature that gives users health coaching messages by visualizing the users’ basal metabolism, active mass, and estimated dietary requirements through our unique algorithm, with the user only needing to occasionally record their weight and body fat percentage without having to record their meals. The second feature gives users their own health score (graded out of a possible 1,000 points) by incorporating health checkup data from corresponding medical examination institutions (with participating institutions planned to be expanded), without having to enter one’s own health checkup results. This health score will enable users to know their health level and compare themselves with other individuals within the same age group and gender. In the future, available devices and participating medical examination institutions that supply data are planned to be expanded. Just like it is easier for individuals to manage their financial assets using FinTech, we have made health assets easy to manage for our users. As such, we provide our users an environment conducive to adopting healthy behaviors that match their lifestyles. The strength of WellnessData Inc. is that we have the best specialists from their respective fields coming together as a single team under the common goal of producing a health asset management service for individuals that had been designed with the user’s point of view in mind. Our team of experts includes doctors specializing in public health and health informatics, medical fitness trainers, a nutritionist who was a founding member of the company that later became COOKPAD Diet Lab, and engineers with a history of developing applications for end users (i.e., Akinator). Right from the early stages of application development, a product concept that revolves around the kind of service that could be provided from statistical healthcare data that we take care of was already cemented. Therefore, our team of experts temporarily looked beyond statistical healthcare data and investigated whether users had any dissatisfaction with the health management tools (i.e., dietary management applications and fitness trackers) including those for dieting. The result of these investigations led to the acknowledgement of various sources of user dissatisfaction, including: quitting the usage of meal management applications after growing tired of recording meals daily; not seeing any results despite going through the effort of recording meals and eating within the daily intake calories; and not being sure of how consumed calories displayed on a fitness tracker relates to one’s weight or body fat percentage, which led many users to simply stop using the tracker when the battery ran out. This led to solidifying the concept and the working toward development of an application that does not require recording of one’s meal at all, and instead provides health coaching messages tailored to each user by calculating one’s basal metabolism, active mass, and estimated dietary requirements only through smartphones regardless of which manufacturer’s body composition meter was used. Concerning the healthcare data that will be accumulated through future services, we consider first and foremost giving back to our users by using it to improve our services. In terms of public health research and coordinating with other operators’ services, we may consider using the data as statistical items after first carefully examining how such matters can benefit our users. A healthcare service with a long life span that will serve as a companion to users throughout their lives. The initial drive that led Hoshino to found WellnessData Inc. was sparked after meeting several entrepreneurs through ventures and buyout investments, and from many years of exposure to the healthcare industry. This led to a strong desire to build a product that adopts the users’ perspective; a healthcare service with a long life span that will serve as a companion to users throughout their lives. Although the healthcare industry is highly competitive, Hoshino believes that a service in which users will cherish it for many years can be developed thanks to the network established over many years and the wisdom of the team members. 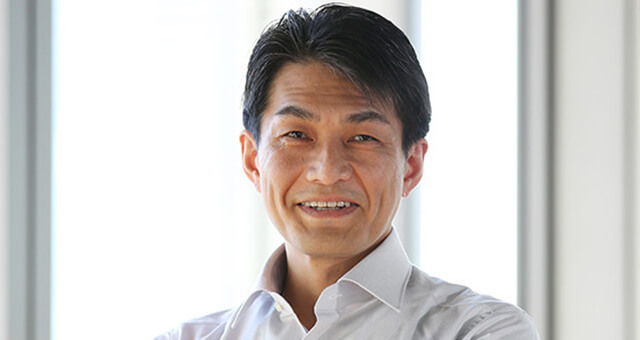 Furthermore, his future plans include basing operations in Marunouchi, a location that will enable approaching influential companies and, with assistance from EGG JAPAN, enable professionals within the Marunouchi area to manage their own health assets. He hopes that this will lead to the establishment of a system that can give assistance to the professionals together with their affiliated companies. Engaged in hands-on investment in the information and healthcare sector,including Weathernews Inc. and Japan Medical Data Center Co.,Ltd., for 16 years at TOKIO MARINE CAPITAL CO., LTD. 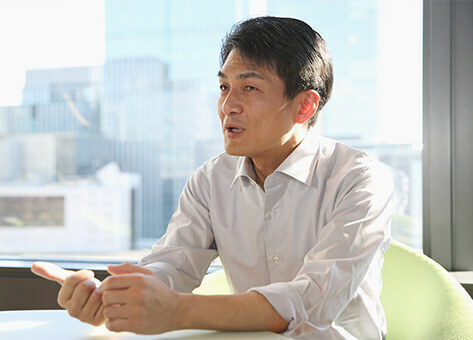 Founded WellnessData Inc. under the philosophy of “turning all kinds of health data into your ally”, assuming the role of the company representative director.Developed JouleLife, a service for managing health assets using daily health and physical examination data.Graduated from Waseda University Faculty of Science and Engineering. we aim to realize a society in which as many people as possible can enjoy a rich, healthy life. which enables the users to compare the health data of a million individuals. Provider of the top-ranked distribution for Apache Hadoop and NoSQL DB, which have the unique capabilities for bigdata analysis. 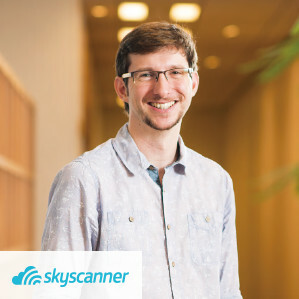 A leading global travel search company providing free search of flights, hotels and car hire. We provide total business support through our Business Development Office, our Tokyo 21c Club of members from a wide range of industries and our highly experienced management team. Copyright © MITSUBISHI ESTATE Co., Ltd. All Rights Reserved.